We wanted to thank you and your team Sheri, Cindy and JoAnn for the formidable effort and success in selling our home in a still difficult market environment. From the onset your team acted decisively and always maintained very good communication. This is particularly important for a client to be kept informed at every step in the process as it helped to make quick decisions to secure an offer and close on it. This transaction was done in record time with a clear sales strategy; no mishaps or confusion. A clean deal as we say. We can only express the highest degree of recognition and recommendation to you and your team. Thank you very much for making this such a delightful and successful experience. We are new to the area and could not be more pleased with the professional, friendly and helpful way Sheri, Judy, and Cindy assisted us with our home purchase. They always answered our calls and questions. They were always punctual. They know the market so well from all of their experience. They could explain everything. We were thrilled to work with them and we highly recommend them. They are truly a top notch team! We have completed five very successful transactions with Judy and her team over the last four years, culminating in a deal that has landed us in our dream home. Judy has guided us tirelessly and brilliantly at every turn. What differentiates Judy is her encyclopedic knowledge of the Bay Area market; her team, including Sheri and Cindy, who can get anything done; her deal-making ability; and most of all, her judgment. In every deal, we knew we had the best guidance not only on how to execute the transaction, but also on what to buy, when to sell, which issues mattered and which did not. Judy is more than an agent; she is a strategic counselor in one of the most important investment and family decisions most of us will make. Whoever has her on their side, has the winning edge. Tim and I would like to thank you for handling the sale of our home last May. It is a little scary to sell your home and face a major move. Your assistance made the process as painless as possible. Your suggestions for pricing and preparing our home for sale made a significant difference in its appeal to buyers. The vendors you recommended were all excellent. We have purchased and sold several properties in Los Altos and other locations, but have never worked with an agent who showed the same level of concern and savvy. Judy, your experience and professionalism are in a class by itself. Thank you again for working with us. 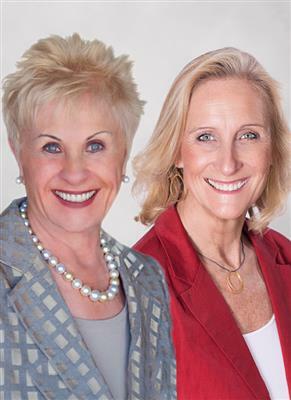 My husband and I recently worked with Judy and Sheri to sell our house in Redwood City and to buy a house in Los Altos, a move we made solely to be in a good school district. We could not have picked a better team to work with. We received not only advice on how to prepare our house for sale but also great referrals for craftspeople to do the work. They were there for us every step of the way ready to help with anything we needed. But most important - when we were in negotiations with the buyers my husband and I were both surprised by the tremendous skills Judy has and how well we did.But that is only half the story - then it was time to buy a house in Los Altos; a very hot seller market. Wisely Judy led us to the Blossom Valley section of Mountain View with its prized Los Altos School District. After looking at just a few houses with us, Sheri knew as soon as she saw this house that it was just right for us, and it is. Once again their experience and negotiating skills paid off and we got the right house for us.Judy, Sheri, and Cindy are just a great team. They have a really wonderful, positive energy about them that makes them a joy to work with!